I was all set to get Olivia’s Choice formatted today. I got the computer out, stretched my fingers and got to work. 8am. Ready. Go. I followed their Guide and tried to follow it to the letter. Not easy when my version of Word is not theirs but, hey! I formatted and formatted, editing tabs, indents, changing fonts, getting hyperlinks in and bookmarks and creating a lovely Table of Contents. I sent it in and got a message: error formatting paragraph styles. Back to the drawing board I went. Hours later, I sent it in again. Same message. Back to work. Sent it in. Same message. By now, I had taken out not only indents but returns, soft and hard, and just about any left or right justification. My book was starting to resemble a soup-like assortment of letters without any sense or rhyme. Then, reason asserted itself. I read a great post by Gene’O on what to do on hard times, went for a run and meditated. When I returned I got an email from Smashwords: it basically said the error message I had received was from December 6th and I should wait until a person read my manuscript before making any more changes. Ah. (insert Spanish swear words here). I thought I’d post this just in case there are others out there like me, trying to figure out what they’ve done wrong when the truth is there’s a delay in the error messages in Smashwords. I’m deep inside the world of formatting. The idea is to somehow meet the rules of the Smashwords Premium Catalogue and hopefully get the book on other publishers free. Excellent theory…the application is somewhat more turbulent. I should explain that I’m not a computer genius. I would describe myself as mildly competent. For example, I don’t try to fix a type-o on my computer with white out, but I don’t know how to fix any real issues on my computer. And that includes formatting issues on my documents. The Guide that Smashwords has for formatting is actually really helpful, friendly even. But trying this out by myself is pretty daunting. There are times when I stare at the screen and wonder what on earth they mean and the only one at my side is my faithful akita. She’s good in the snow but not so great with computers. Simple things become monumental tasks in Formatting World. For example, you can’t change something as easy as the font by clicking on the font button. In fact, according to the Guide, this is a mistake you should never, ever do (never is in capital letters, then bolded and then repeated just in case you missed it the first few times). Basically, if you use the button provided by Word for that exact purpose, your manuscript will warp itself into something illegible for ebooks, it’ll never be admitted into the Premium Catalogue (the reason for this entire Formatting Nightmare) and all your worse fears will materialize. Now that wouldn’t be an issue, if the Guide told me how to change the font properly. But there’s no second choice. Just a warning in dire letters of horrid consequences if you should risk touching the clearly labelled font button. In spite of all this moaning on my part, I think I’m making some sort of progress. I’ve still got a long way to go. I’m certainly not close enough to even start making a table of contents, but I think I might have an idea on how to create a ‘style’. No, in our fun, Formatting World, style doesn’t mean clothing style or hip-style, it means writing style as in indents and bullets and so on. Don’t laugh but I had to figure that out too. It’s a steep learning curve but, I figure, in a week or so, either I’ll have a perfectly formatted document so clean it’ll shine brighter than the Empire State Building or I’ll be talking to Ocean in doggie language. Oh and I will definitely pass on anything worthwhile that I learn along the way…like how on earth to change that dratted font. I’m still in depths of formatting…well, let’s call it Formatting Inferno. It honestly seems to be one step forward and three back. I won’t mention the issue with the font right now because it’s just going to set me off and I’ll be rambling about it for hours. Let’s just say that whenever someone who’s techy calls a process ‘easy’ and that their guide is ‘step by step’, they mean if you have a PhD in the subject. It has all sorts of available downloads, from epub to mobi to doc to anything in between. There’s also a nifty interview by yours truly (me). I’ve also added the link to the page on this blog for easy access. I’m still formatting because my goal is to get Olivia’s Choice free on Amazon and the formatting Inferno I’m in is one step towards that goal. Let’s hope the formatting gods are kinder today than they were yesterday. Wish me luck. Formatting is something self-published authors know about…and dread. Traditionally published authors get to skip this entire ordeal because they simply send their manuscript off to the agent and presto, it magically appears already formatted and on paper. At least, I that’s what I think happens. Poor self-published authors like myself don’t have that luxury. I can ask someone to do it for me but that’s risky and expensive. Last time I tried that, they botched it up and would only fix the issues if I paid more money. So now, I do it myself. Formatting changes the lovely book you’ve written into something an ereader can process. Without formatting you get lines that fall off the edge of the page, breaks where there shouldn’t be breaks and other nightmares. In other words, you have to format the thing or not even your aunt Matilda, who loves you, will read your ebook. I use Scrivener. It has an innocent little button that says: collate. Collate means formatting. I looked at it and wished the entire process would be as simple as pressing that button. Alas…it’s not. Press collate and you open up a new window FULL of buttons that open other windows FULL of buttons. Everything from the table of contents to the size of font to the space between the lines, to indents, to how you take your coffee in the morning…everything is in there for you to change and organize. 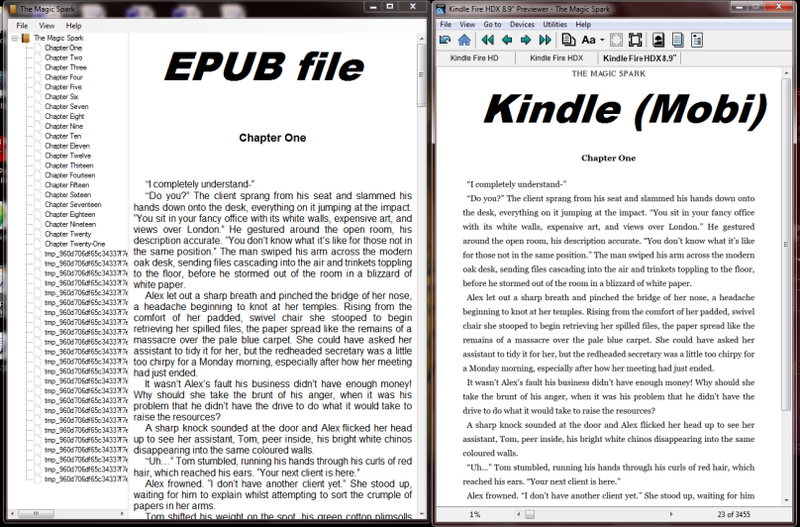 If you want an epub file, you get a set of different choices that match that file’s needs. If you want a mobi file, you get another set. And so on.The problem is some of those buttons are written in codes and you have to fill in information with even more codes. Figuring out how to collate took me a good five hours (during which I only answered in angry grunts). Scrivener helpfully provides some tutorials online in a microscopic window. After five hours of squinting, I finally got rid of the thing and started simply guessing. Incredibly, I did manage to collate the thing because it’s on Amazon now (I blame it on dumb luck). In spite of all this, Scrivener is a great option, simply because it’s better than the alternative: Doing it By Hand. Formatting a document a la hand means you have to do manually what each of those little buttons did on Scrivener. For each paragraph, for each chapter, for the entire manuscript. It’s much, much worse than Scrivener’s collating. Why am I rambling on about formatting? Well, the thing is I’m trying to publish Olivia’s Choice on Smashwords so that I can list my book for free (Amazon won’t do it unless they’re price matching). That means I have to re-format the entire thing. I estimate it’s going to take me a year and a half to get this done.